The bike is a Surly Troll. I don’t know many details besides that. I will admit it right now…I AM NOT A BIKE NERD. Though I can tell you that I did have Jones handle bars on it for a bit but switched to some with a bit less curve awhile back to give my novice mountain biking skills a bit more of an aggressive edge. Oh, and I know I have cork Ergon grips. Other than that I am pretty lucky just to identify the parts rather than telling you in detail the brand etc. I had the bike built up after going to Honduras to meet up with a very bike savvy individual who convinced me of the badassness of this bike. I spent a week or so riding around (on a borrowed bike) on the small island of Roatan… sweating and cursing (to myself…couldn’t let him hear) and returned thinking that it was a pretty cool way of traveling. We didn’t use any public transport except for a ferry and my bus ride to and from the airport. 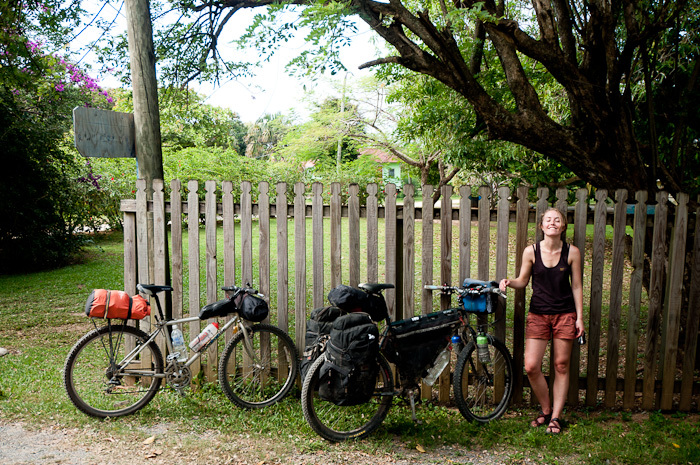 When I left Honduras, I had with me a list of all the things I needed to build up a “good bike for me”. 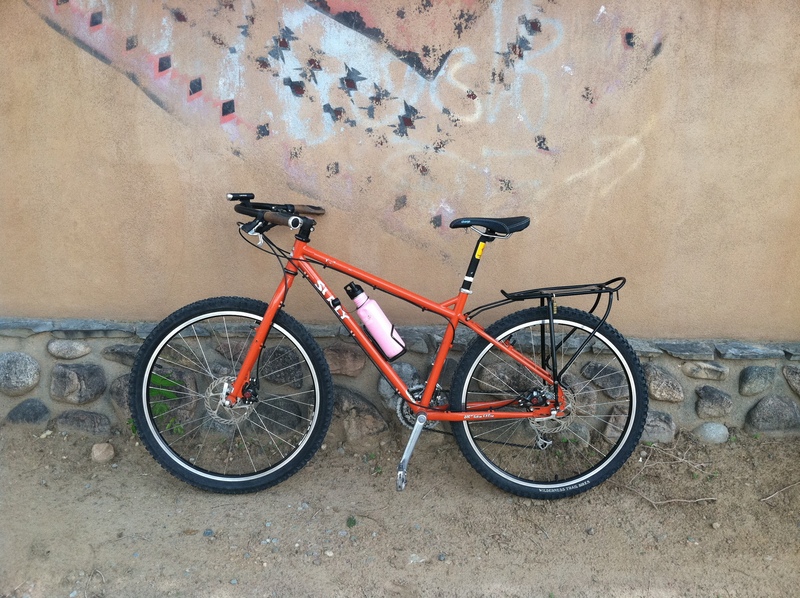 I came back to Santa Fe took an old Gary Fischer mountain bike someone had gifted me to my local bike shop, Mellow Velo. They then transfered what they could to the Troll frame and ordered the rest to make it a functioning bike. And there you go….my first bike since childhood. I thought it was pretty cool…though according to this bike savvy individual it still needed some love. It took me ages to get the saddle to the right height. I just didn’t get it. 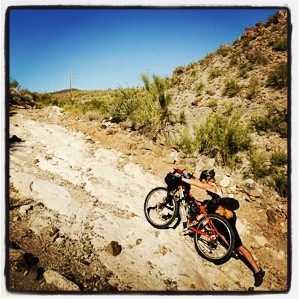 I would finally understand it when I was riding the Great Divide and my achilles hurt so bad I couldn’t ride for days. But at that moment, I just couldn’t see what the big deal was. So that’s the history of the bike. Roatan. 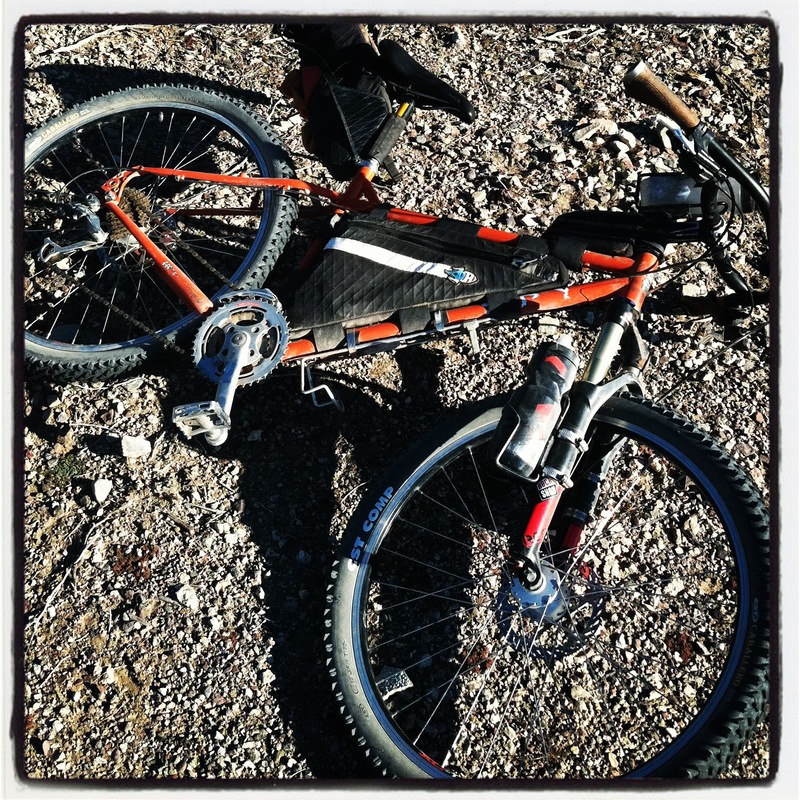 The bike I was using was the one with NOTHING on it….I still struggled to keep up. Freshly built…still hadn’t got the saddle height worked out. 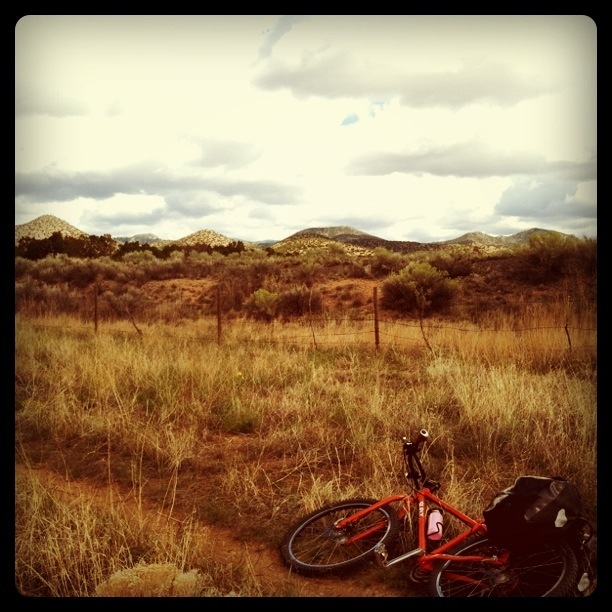 Testing out some weight in the panniers on some dirt. Little did I know that the choice to build the bike would lead me to situations like this….details later.